It was exciting, last Saturday (weekend) morning to see school children come in their best teams for the school soccer tournament. TISOL has been facilitating the primary school boys and girls soccer some years back. It started off with 2 primary schools seen competing against each other. 2016 has seen an increase in the competition bring a total of about 7 to 10 schools coming into the tournament. 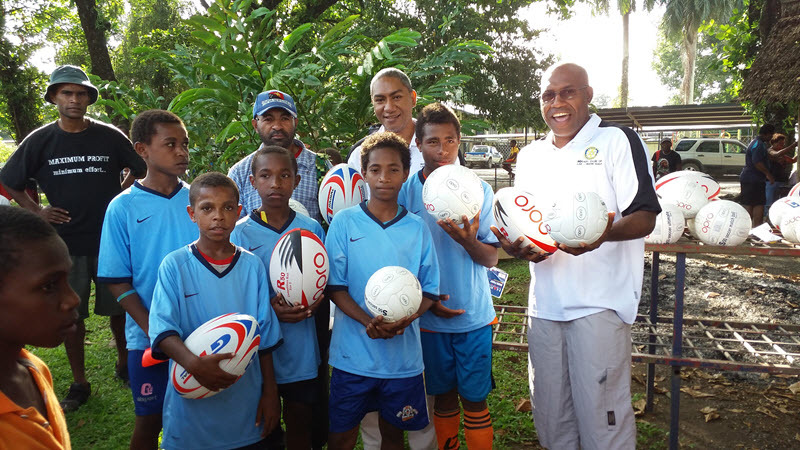 Rotary coming to the school to present the balls (rugby, soccer, AFL) was exciting and encouraging. 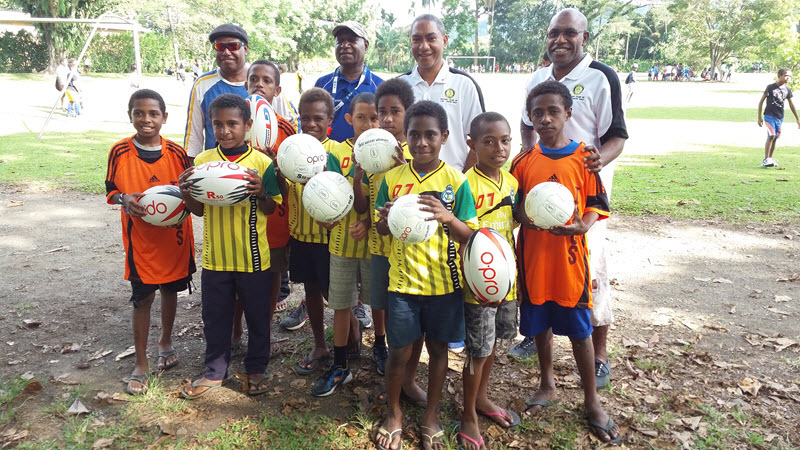 With Lae Huon Rotary a goal in supporting good sportsmanship in the primary and secondary school in presentation of balls was overwhelming. 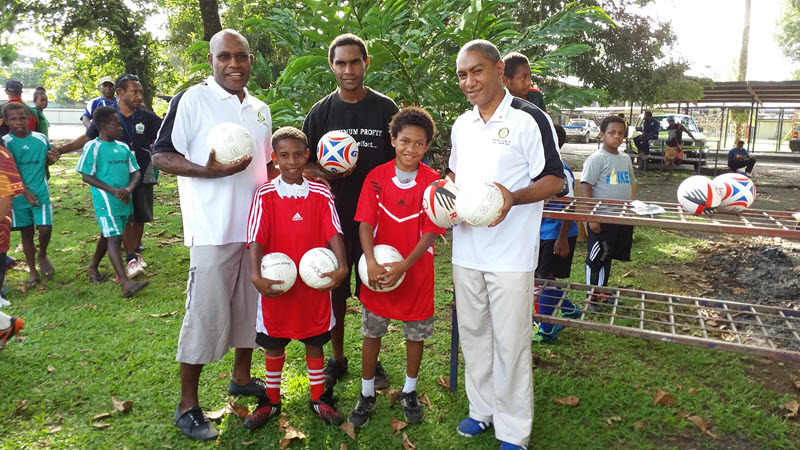 The deputy principle thanked the Lae Huon Rotary for promoting and supporting the primary school soccer tournament. Also thanking Lae Huon Rotary Club was Mrs Taiwalu George, the head teacher of Busanim Elementary School, 12 mile, along the Okuk Highway. 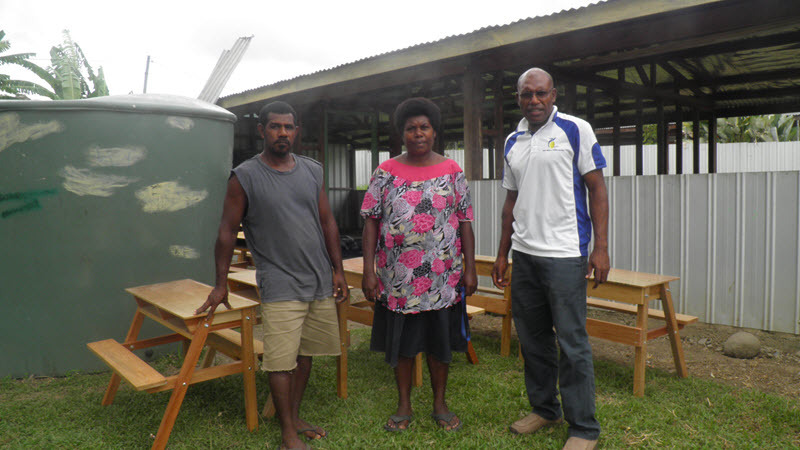 They had just completed a double classroom and trying to source funds to purchase desks. Lae Huon Rotary came in time to settle their need.